Instructions for installing the Device42 virtual appliance on Oracle VM Virtual Box ( Please use for trial / demo purposes only). When installing to VirtualBox download the OVF format of Device42. Browse to the directory containing the .ovf file and click next. Change the Name of the VM to whatever is desired. Modify the CPU and RAM to desired resources. Select “Import” once settings have been finalized. The VM will be ready after a few moments. Note you must allocate at least 4 GB of RAM and 2 vCPU! Choose a Bridged Adapter (or NAT if you want) for network access. Choose the Physical NIC you will be using. Go to https://IP or to DNS if you configure that. 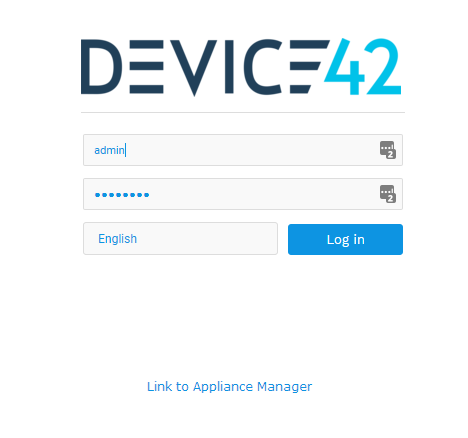 Change the default password for user device42 from the console menu (option 10). The default username/password is admin/adm!nd42. You can apply updates and do other menu-related work using SSH port 404.